If there's anything that I'm vain about when it comes to my looks, it's my hair (ok - and my lips.) It took me awhile to appreciate both of them - especially given that growing up, there weren't really any products designed for my kind of curly hair. These days, I'm doing a little more heat styling, and only washing my hair about once every 5-7 days, so I need products that protect my hair without being too heavy or greasy. Now I can have "Hollywood" hair with Mitch Stone! I'm totally digging the "Flock of Seagulls" hairdo on the guy in their promo. All this big hair takes me back to coming of age in the 80's. How I wish I had this VcompS stuff back then! What is VcompS? 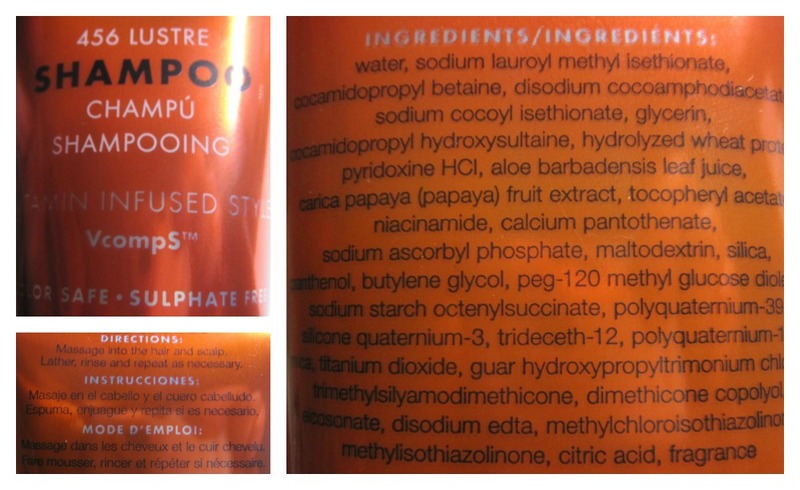 It's Mitch Stone's proprietary formula that's full of vitamins to nourish the hair and make it super shiny. I got the opportunity to try his Shampoo and Conditioner, and now I want to try his whole product line. The 456 Lustre Shampoo (named after the phone prefix in Malibu, California) has a gel-like formula and a light scent reminiscent of pink grapefruit. The gel is sulfate-free, so it doesn't foam very much, but if you want, you can emulsify it in your hands prior to applying it to your hair to get it going. The 457 Lustre Conditioner takes us back to Malibu, but to the beach! This keratin-based conditioner has a nice amount of slip to it, without weighing my hair down or making it greasy. It has more of a tropical scent, still very light, with hints of coconut and flowers. Given the texture of my hair, the most important things for me in a shampoo are that it cleanse gently, not tangle my hair, and I love a light scent. Conditioner is more important, and it needs to be able to be combed through my hair, have nice slip, and moisturize deeply. If I don't have to use half the bottle at once, it's even better. This set ticks all the marks for me. If I had my druthers, there's one thing I would change - the packaging. When I'm in the shower, I'm not wearing my glasses, and I'm blind as a bat. I have to hold the bottle right next to my face so that I can tell which product I'm picking up first! 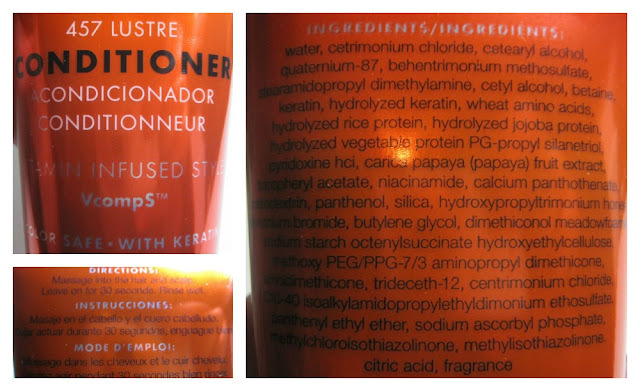 I wish all companies would make their shampoo and conditioner bottles so that we can tell them apart easily at a glance. Currently, I'm using big sponge rollers and a bonnet dryer to tame my ringlets into bigger curls that wear better throughout the week. I usually put it in a braid and in a soft satin cap when I sleep to help avoid tangles, and I'm loving coiled hair ties for putting my hair up! Nothing like a great hair day to make me feel sassy. A little metallic orange nailart to match my Mitch Stone bottle. The base is Nina Ultra Pro Molten Gold, and I used a black striper for a deSign. Mitch Stone has been doing hair for 25 years, and has many celebrity clients. 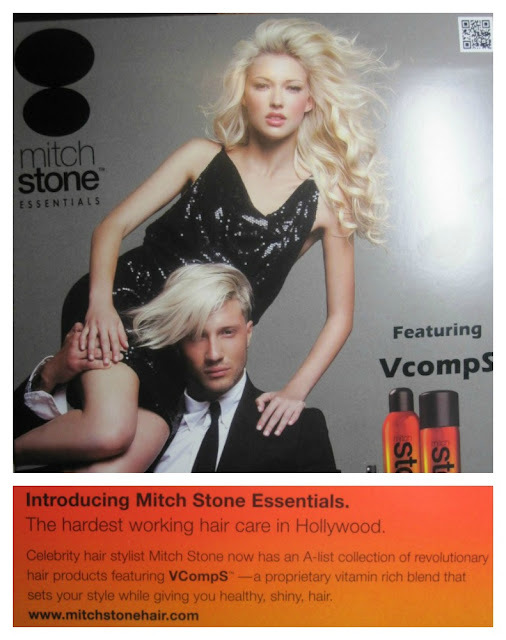 If you want Hollywood hair, too, you might like the products from Mitch Stone Essentials! For more information, or to purchase, you can find them on Facebook, Twitter, Instagram, YouTube, Pinterest, and on his website, where this Shampoo and Conditioner set currently retails for $36. What's your secret to great looking hair?